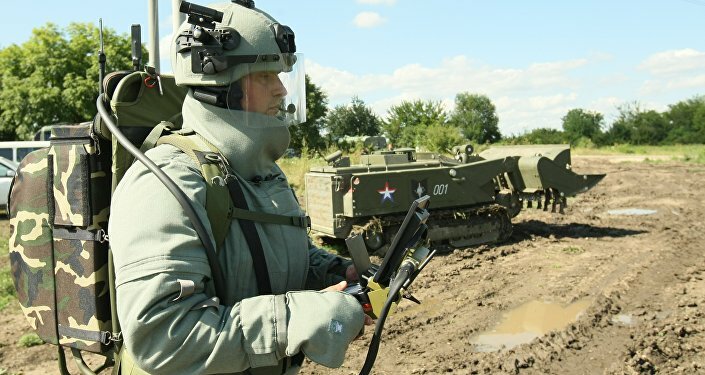 The Russian Defense Ministry has disclosed information about the army's advanced new demining robot Prokhod-1, according to the newspaper Rossiyskaya Gazeta. Russia's Defense Ministry has declassified secret information about Prokhod-1, its sophisticated mine clearing robotic system, the newspaper Rossiyskaya Gazeta reported. Prokhod-1 was created by the Russian machine building company Uralvagonzavod and is based on a BMR-3M Vepr armored demining vehicle, according to the newspaper. Unlike the BMR-3M, however, the robotic system is equipped with a new TMT-C trawl, capable of destroying various kinds of mines, including radio-controlled high explosive bombs. The original BMR-3M uses the chassis of a T-90 tank, and has a 1,000-horsepower engine and enhanced mine protection. The BMR has a crew of three; the vehicle's front hull and deckhouse are covered with dynamic protection containers. It can carry three sappers, is armed with a 12.7-mm machine gun and eight rocket launchers for smoke-screens. As far as the Prohod-1 is concerned, it is remotely operated from a mobile command post in a KAMAZ truck, with communication between the operator and the vehicle protected from interference and electronic warfare. Prokhod-1 is also capable of operating automatically to move along a given route, Rossiyskaya Gazeta said, adding that a slight tremor of the vehicle is seen after an explosion of an anti-tank mine under the Prokhod-1's trawl. 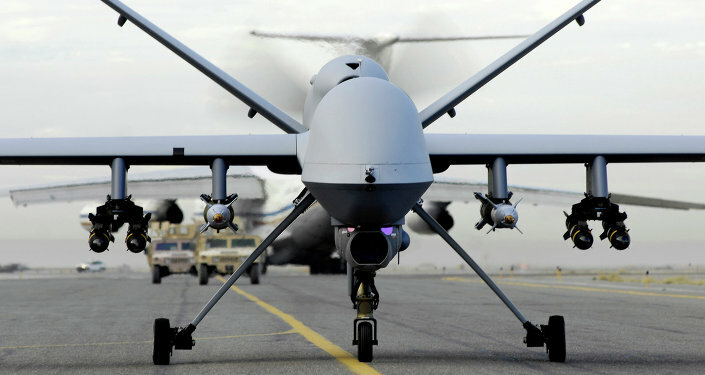 Flying Autonomous Robots: The Future of Air Combat? The vehicle is capable of making passages in minefields that are 4.5 meters in width, neutralizing contact and magnetic mines, as well as ammunition equipped with proximity fuses on the surface, in the snow and soil. It was reported in mid-July that the Prokhod-1 has successfully passed state tests. In late March, media reports said that another Russian de-mining robotic complex, Uran-6, will be used in the Syrian city of Palmyra to clear up hidden explosive devices left by Daesh, after the historical site was recaptured from the terrorists.